❯ Hadoop : What is it? Hadoop is an open-source software framework for storing Big Data and running applications on clusters of commodity hardware. It is a free, Java-based programming framework. It supports storing and processing large data-sets in a parallel distributed computing environment. It consists of Hadoop common package: a MapReduce engine and the Hadoop distributed file system (HDFS). To start Hadoop, the Hadoop common package has Java Archive (JAR) files and scripts. Other modules include HBase, Hive, Pig, Sqoop, Oozie, Chukwa, Cassandra, Flume, Solr, HCatalog, Spark, Ambari, and Zookeeper which help in faster and easier processing of huge data. It is different conceptually from other relational databases and processes high variety, high volume, and high velocity of data to generate value. With Hadoop, it is possible to run applications on systems with thousands of nodes involving thousands of terabytes of data, which is unfeasible with traditional systems. Hadoop was released in 2008 by Yahoo and now Hadoop’s framework and ecosystem technologies are maintained and managed by the non-profit Apache Software Foundation (ASF) – a global community of software developers and contributors. We live today in a world of DATA. What-so-ever you do in the Internet, it becomes a source of business information. There has been an exponential growth in the world of data since the last decade. Therefore, industries are looking for ways to handle data and get business. Here is Hadoop – jail-break – for the IT firms in order to store and retrieve large amount of data. Here are some reasons to choose Hadoop. A combination of online running applications on a huge-scale built of commodity hardware. Big companies are seeking for Hadoop professionals capable of handling data. Stores and processes large data-sets in a cost-effective manner. Highly flexible: No preprocessing of data is required before storing the data. A large or as much amount of data you want can be stored. Compatible: As Hadoop is a Java-based programming, it works on all platforms. Scalable: With little administration, one can easily grow their system simply by adding more nodes. Low cost: This open-source framework is free and allows usage of commodity hardware for storing large quantities of data. Great computing power: Since Hadoop has a distributed computing environment, with more computing nodes, the processing power increases. Fault tolerant: In case of hardware failure or if node goes down, jobs automatically redirect to other nodes, making use of distributed computing, and stores multiple copies of the data. Relevant jobs: After the successful completion of this course, Hadoop architect, Hadoop developer, and Data scientist are the jobs waiting for you next door. Data security: Fragmented data security issues are still lingering around. Using Kerberos is a great help in making Hadoop environment secure. MapReduce programming is not a good match for all problems: MapReduce is inefficient for iterative and interactive analytics, as it is file-intensive. A widely acknowledged talent gap: To be productive in MapReduce, experience holders in Java are required. With a fresher in programming language, fruitful results are difficult to achieve and selecting one such person becomes a BIG NO for employers. Thus, SQL skills are must to easily understand and work with MapReduce techniques. Full-fledged data management and governance: Hadoop LACKS quality and data standardization tools. ❯ Who should do this course? Hadoop has become a cornerstone of every IT sector today. It has now become a must-know technology for the following professionals. The term “Big Data” refers to two things: problem and opportunity. This involves analysis of large data which is not only complicated but unstructured. Companies with big business have used RDBMS and Excel tools for analyzing terabytes of unstructured data-sets. But with technology and time, techniques have evolved and many tools have come up for the purpose like Machine learning, Mahout, SPSS, Teradata, etc. Since last 3–4 years, techniques like Sqoop, Storm, Spark, R, Hadoop, Python, etc. have evolved and became popular to analyze big data. Big Data is characterized by the high velocity, variety, and volume of data. Big Data triggers the need for a new range of jobs: Data Scientist, Data analysts, R programmers, Python developers, etc. The industries dealing with big data are telecom, ad networks, and financial services. When are the classes held and what if I miss one? The classes are conducted both online and offline throughout the week: 1 hour from Monday to Friday and 2 hours each on Saturday and Sunday. In the meantime, you will be given related day-to-day exercises and weekly assignments. At the end of the course completion, you will be allotted a live project to work on and submit on time. If you miss out to attend a class, you need not to worry, because the session automatically gets recorded which you can access form your account. So you can easily attend the missed class anytime and can re-attend the live lecture in the upcoming Batch. This is advantageous to you because you will not be new to the course and can ask the right questions to get the most out of the course. After I complete the course, what if I have queries? Relax. Do not panic. You are a lifetime member of the OPT NATION once you have enrolled. You can attend the classes, access the content, or talk to our experts anytime you have a doubt. You just need to submit your query to the support team; our faculty will revert and help you out in any way you want. Why a certificate in Big Data and Hadoop? In today’s world, the Internet is as much necessary as we eat food. Every industry you step in relies on the Internet. Above all, handling the large amount of data is neither easy manually nor automatically. Here comes the role of Hadoop. Hadoop is capable of storing, retrieving and processing large quantities of data…terabytes of data. Big Data and Hadoop Developers are in huge demand and there are less good ones. The OPT NATION’s certificate in Hadoop will significantly improve your chances to enter the industry you are or have been looking for. 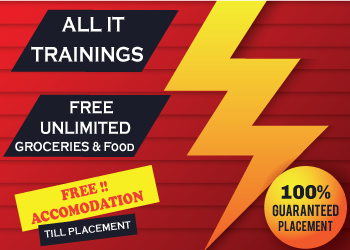 By the end of the course, you yourself will be confident and have a good grasp of Hadoop, HDFS, MapReduce, Sqoop, Flume, ZooKeeper, Hive, HBase, Pig, etc. Is Java the necessary prerequisite to undertake Hadoop course? 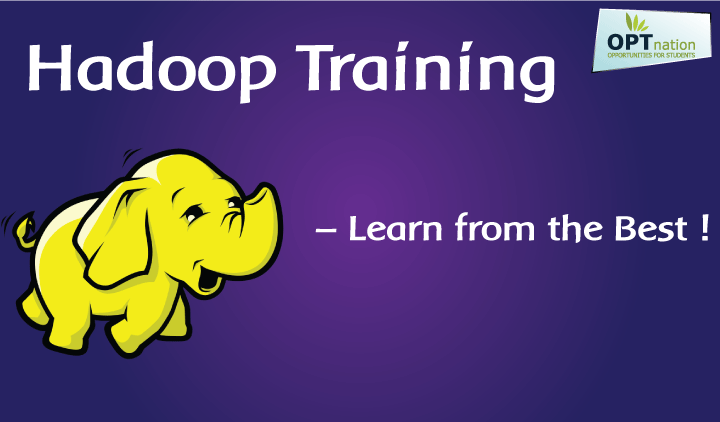 You can master in Hadoop, even if you are not from IT background. But any programming language, such as Java, C#, PHP, Python, C, C++, .NET, PERL, etc., if you know could be a great help. Even if you have no knowledge regarding Java, do not worry, because we have “Java Essentials for Hadoop” course to brush up your skills and that too absolutely free. For how long is my OPT NATION login and password valid to access my course? There is no end date or validity once you have enrolled for the course. There is lifetime validity even after the completion of the course for accessing the content from anywhere anytime. After successful completion of the course and related assignments, exercises and exams, your certificate will be emailed to you. What if I fail to clear my certification course in first attempt? You can anytime ask for assistance to your queries and doubts and reappear for the certification exam. Once you have enrolled, you are a lifetime member and so you will be charged nothing for reappearing. Our experts are here to help you out in all possible ways. Yes, we do. OPT NATION is one of those rare online training centers that apart from teaching you provide placements at your home. You just need to concentrate to excel in your course; in return, OPT NATION will give you a platform to exhibit the plethora of your skills.